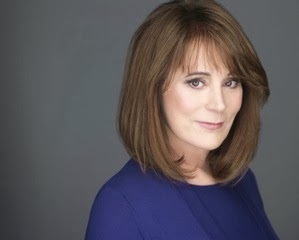 To almost anyone you ask, Patricia Richardson is the mom we all wanted (no offense, real-life Mom): She played opposite Tim Allen for the entire decade of the ’90s on ABC’s “Home Improvement” as Jill Taylor — loving, smart, sassy and funny. She went on to star in “Strong Medicine” and guest-star on “The West Wing,” but it’s her lifetime role of loving daughter that brought Patricia to her latest project — that of celebrity spokesperson for Cure PSP (psp.org). 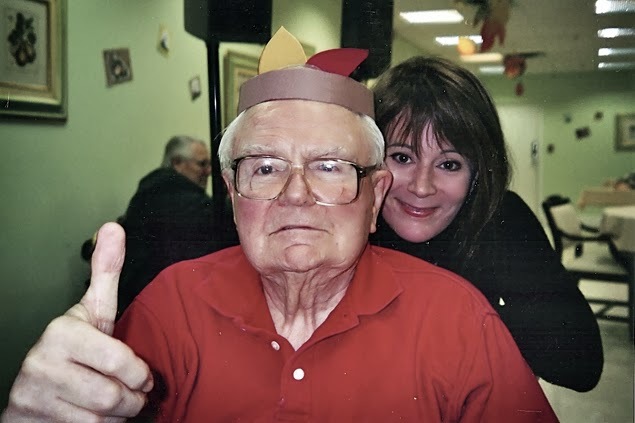 In 2005, Patricia lost her father to progressive supranuclear palsy, a neurodegenerative brain disease that has no known cause, treatment or cure. Now, as Patricia told me when we spoke recently, she is doing all she can to raise awareness of the disease and money toward finding the cure. She has partnered with the National Organization of Rare Disorders (NORD) to help bring her cause to light. Celebrity Extra: Tell me what you’ve learned about PSP in your research in trying to help your father, and now, in helping others who are trying to come to grips with this disease. Patricia Richardson: All of these brain diseases — PSP, Parkinson’s, Alzheimer’s, CBD, ALS — are what we are now calling prion disease, which stands for infectious protein. They are all caused by sort of like a bacteria or virus, but it’s proteins that are coming out of the cells and multiplying and spreading infectiously. These protein diseases are spreading slowly within the brain. In Alzheimer’s and PSP, it’s something called tau protein. That’s also the same protein that spreads in the football head injuries and in soldiers coming back from Afghanistan. Understanding this cause is a new development. CE: Tell me about NORD and your involvement with them. PR: NORD is sort of an umbrella group to not only help patient-advocacy organizations like Cure PSP, but they’re helping people suffering from all of these other diseases that don’t even have a support group. It’s a place for people to meet and talk and share their experience or maybe connect with a group. We’ve been asking people to go to rarediseaseday.us, which is a website that will not only tell them about the Rare Disease Day [which is today, Feb. 28], but it’ll help people find information they need about their own disease, how they can help NORD, and how they can help somebody with a rare disease. CE: What are some of the things you’ve been involved with in helping NORD? PR: I’ve hosted the NORD dinner for several years, and they’ll have patients there, legislators, doctors, scientists. The things you learn when you go to these: One time they talked about a girl across the country with symptoms no one had ever seen. It was a new disease. The doctors had never seen it. This poor family thought: “We’re the only people that have this. What could this be?” And then NORD connected them with another family on the other coast whose child had the same thing. And then they were able to connect those two doctors together so they could share information. NORD connected us (at Cure PSP) to the government agency that helped us get the compassion and care allowance. We had to establish ourselves as a rare disease so we could get our people fast-tracked to get their Social Security disability payments faster. But first you have to get declared a rare disease. So, NORD helped us figure out how you write that protocol, how you get declared a rare disease and then get into that program. What I tell people is, “My Dad had a rare disease, but our experience was not rare.” Thirty million people have a rare disease. We didn’t feel that at the time Dad was diagnosed. We felt like we were the only people going through this. CE: Changing gears a bit, what do you have coming up for your fans actingwise? PR: After “Home Improvement,” I quit pretty much for a year or two so I could go home and be with my kids. I’m the least ambitious actor you’ve heard of. Then I did “Strong Medicine” because I had a four-day workweek, and I could be with my kids. So, I did that for a couple of years. And then I tried to do “West Wing” because I thought, “Well, that won’t take me away from them too much.” And then I ended up doing way more than I thought I would — nine or 10 episodes over a couple of years. What I learned was that I just couldn’t be away from my teenagers without that being a problem, so that was when I just really stopped. I think I may have done one movie that was a couple of days, but mostly I just got them through high school. I went back to work four years ago when the last one went off to college. It’s been slow going. I started doing theater again — I’ve been doing a play every year. I did a play off-Broadway last year. And then I’ve done like three Hallmark movies in the last year. There was one at Christmas, one just now on Valentine’s, and that’s been sort of good for me to have the chance to get in front of a camera and feel comfortable again. I’m the world’s worst auditioner, and I’m so bad at auditioning. It’s been hard to kind of get back to where I felt comfortable after all that time off. So, by getting on stage again and slowly sort of getting in front of a camera, I’ve gradually gotten back to the place where I’m now once again starting to feel, “Oh yeah. That’s what this is. It’s not as terrifying as it was.” I’m kind of coming around to again and where I’m starting to feel like, “Oh yeah, now I remember why I liked this.” And my kids are doing really well, so I feel good about it. I feel really good about the people I made. I'm very lucky, and I’ve been really blessed.